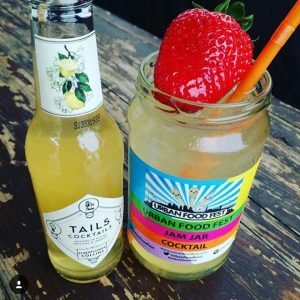 We are excited to announce that joining the flowery cocktail bar this year will be Tails: masters in pre-mixed cocktails! 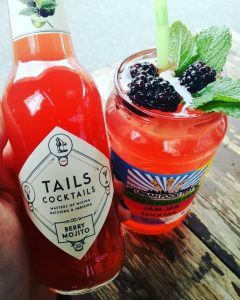 Tails specialise in perfecting much-loved classics as well as shaking up the industry with a few quirky twists. They work with inventors, craftsmen and showmen from the world of drinks and beyond to inspire and re-invent, and they are creating quite a stir (excuse the pun)! These refreshing and perfectly instagramable tipples will be available every Saturday from midday to midnight until October so bring your friends, your colleagues or your date – these premium cocktails pack a punch and are definitely not to be missed! Prefer vodka? Try the Moscow Mule! 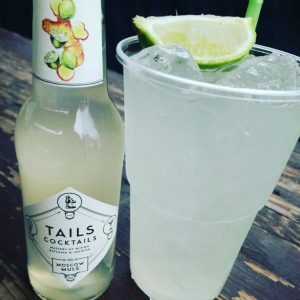 This fiery and zesty classic cocktail perfectly blends triple-distilled vodka, ginger beer, ginger liqueur, bitters and lime juice and is best enjoyed chilled over ice with a wedge of lime. If you love rum you won’t be disappointed with this fruity twist on the classic Mojito. Blending Caribbean white rum with a touch of creme de cassis, mint, lime, and soda, this cocktail is best enjoyed over ice with a sprig of mint. So shake a tail and come down to the market this Saturday for a taste!